"Another glorious day in the Corps! A day in the Marine Corps is like a day on the farm. Every meal's a banquet! Every paycheck a fortune! Every formation a parade! I LOVE the Corps!" 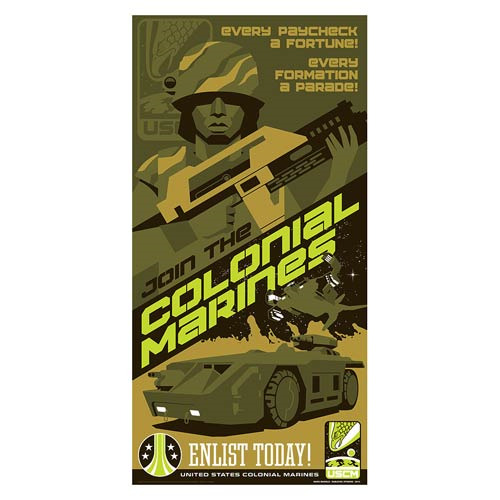 Support the United States Colonial Marines as they march in to battle! From 1986's Aliens, each print features artist Mark Daniel's official signature! A limited edition of 250 pieces, the 12-inch x 24-inches print is silk screened and includes a certificate of authenticity.